Speaking at C&IT's Agency Forum today (6 September), Line Up's head of experiential Rupert Cheswright said that sustainability is the main winner in the Olympic legacy. Attendees at the London 2012 Showcase: The Best B2B Brands seminar, hosted by C&IT, were divided as to the extent to which the Games will have an impact on the events industry, but agreed that sustainability in events recieved a huge boost. 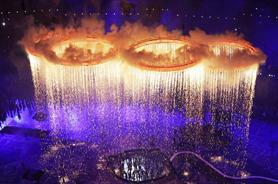 Cheswright said that Locog’s hard work pushing ISO 20121 had paid off. "Sustainability will be the real winner in terms of legacy for the Games. We’re likely to see much increased uptake of sustainable measures with a decrease in waste from events." Meanwhile, the Olympics effect on tourism was debated, with Definitive Events’ managing director Lisa Pennington discussing the unique marketing opportunity London recieved. "I can honestly say, having worked at the three previous Olympic Games, that this was the best organised, most successful one. All the feared transport issues did not transpire, so my only criticism would be that transport issues were overexaggreated before hand," she added. Kevin Shapland, managing director of CJS Event Solutions agreed, adding that the parks in London were well used and provided a unique space for events. "The city was really showed off at its best, so this is likely to increase global interest in visiting London," he added. Pennington went on to say that it was "a shame" that many of the great work by agencies during the Games will not be able to be discussed due to Locog restrictions.